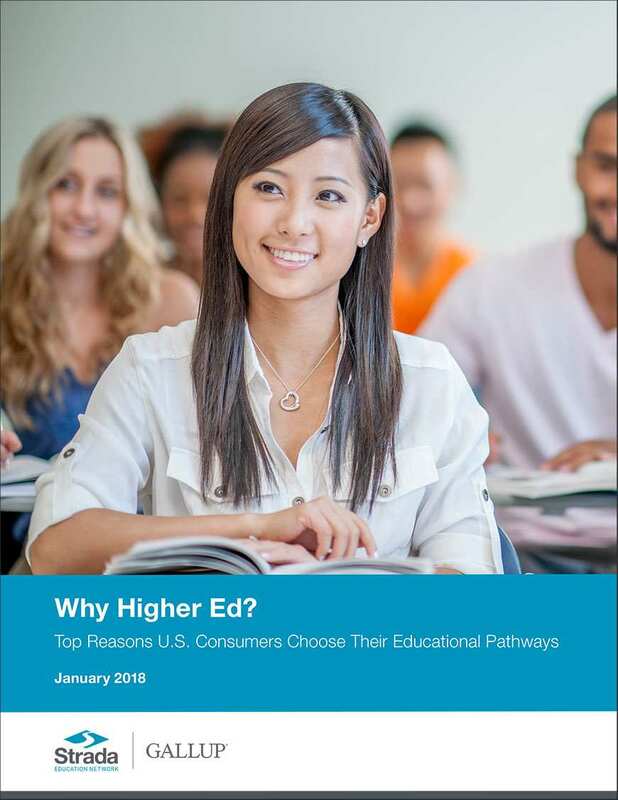 Download pdf Why Higher Ed? New insights from the Strada-Gallup Education Consumer Survey examine the main motivations driving students' decisions to pursue postsecondary education. More than 86,000 U.S. adults with experiences at over 3,000 institutions were asked to share, in their own words, the main reason for choosing their educational pathway and school. Results confirm that work outcomes are the main reason most people chose higher education, with 58% reporting job and career outcomes as their primary motivation. This is true across all higher education pathways and demographic subgroups. Work outcomes are also more than double the next-most prevalent reason, with 23% reporting a general motivation to learn more and gain knowledge without linking it to work or career aspirations. 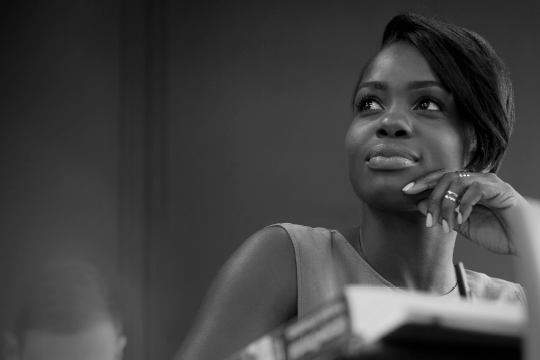 Perhaps most significant, the survey revealed that those who start down an educational path and fail to complete it are more likely than those who completed a degree to report general aspirations for learning and knowledge as their top motivation. Read this report to learn how helping students clarify a work-related purpose for pursuing a postsecondary pathway may boost persistence and completion, and ensure they realize their main motivation for attending -- to find a job and launch their career. To receive an email with a link to download this report, please fill out the form below. Someone from Gallup or Strada Education Network will receive this information and may contact you via email or phone about your interest in this topic and other Gallup products and services.